A HELENSBURGH-born businesswoman who is one of the key figures in the world of British fashion is highly positive about the future . . . after three years running her own business. The second of four children of a Welsh mum and an English dad, brought up near Portsmouth – where her father was based with the Royal Navy — she was born in the burgh on March 11 1959. Her father served in submarines of the Third Submarine Squadron, first at Rothesay and then at Faslane, from 1953-73, and her family lived in the burgh from 1958-61. They left when she was two to move to the Lake District, and then to Purbrook in Hampshire. She went on to be chosen as head girl at Purbrook Grammar School, and passed ‘A’ levels, but then made the unusual decision not to go to university. Having had a Saturday job during her school days in a shoe shop and a Sunday job in a newsagents, she was selected for Marks & Spencer’s management programme at the age of 18. For the next 20 years she rose steadily through the ranks to run the women’s wear division. company and held senior positions overseas with both Brooks Brothers and Marks & Spencer’s Canadian business. 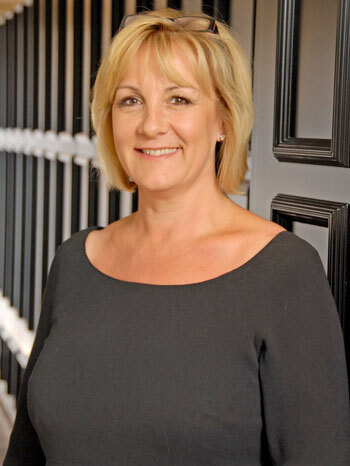 In search of a new challenge, she joined Pringle in 2000 and built sales from less than £10 million to £100 million by 2005. She launched a retail division with shops in Bond Street and Sloane Street, London, and elsewhere internationally. When her contract expired in March of that year she chose not to renew it but stayed on to the end of the year to transfer her work to two members of the Fang family from Hong Kong, Pringle’s owners. In the 2006 New Year’s Honours List she was awarded the OBE for services to British retailing. That year Kim was recruited by Japanese investors to transform the image of the fading British fashion label Aquascutum, which made its name with the invention of the trench coat and went on to dress stars of screen, politics and royalty. It was tired at best when she arrived, and losing money to the tune of £10 million a year. Her plan involved the refurbishment of its Regent Street flagship, and the rest of its retail portfolio, and the introduction of a slick new marketing campaign. Most important of all, however, was the product. Aquascutum's clothing line was divided into two ranges, catwalk and mainline. Her response was to ditch some mainline product and replace it with pieces inspired by the successful catwalk collection, then go for global growth. As president and chief executive, Kim was well on the way to transforming the label into a profitable international fashion house. She made huge strides in the task, but in May 2009 resigned after the owners rejected a management buyout bid which she led. In the spring of 2013, she launched her own fashion label. Winser London is growing faster than the fashion doyen imagined it would — "already it's four times bigger than expected," she said after just a few months. She built a new digital business model with direct supply and a remote structure through ecommerce and pop-up shops, resulting in luxurious quality at affordable prices. “I’m constantly inspired by people: entrepreneurs as well as those driving change in the corporate space, like Angela Ahrendts at Burberry and now Apple," she said. Asked what piece of advice she would give to herself if she was 18 again, she replied: “Keep notes of all the amazing people you are about to meet, what drives them, their inspiration and their dreams for the future. Now living in Windsor, Berkshire, she dotes on her son Omar. However, she is divorced from his father, Saeed Hatteea, a former M&S food group divisional director. "We're still good friends," she says. The former county-level tennis player — once known for her crunching serve — resists the temptation to work a seven day week and takes her son to rugby, cricket and football matches at weekends. Kim is listed no.3 of the Wall Street Journal Europe’s most successful business women; she is one of Business Week’s "most innovative businesswomen in Britain"; and Fortune Magazine and Management Today have both called her "one of the most powerful women in business". Awarded a Doctorate by Edinburgh’s Heriot-Watt University in 2003, she also works with The Princes Trust and CHAS, the Scottish children’s hospice charity, alongside Ewan McGregor. In 2013, she was appointed as a board trustee of London’s Natural History Museum.